Reprinted from PRNewswire.org. To read the original article, click here. 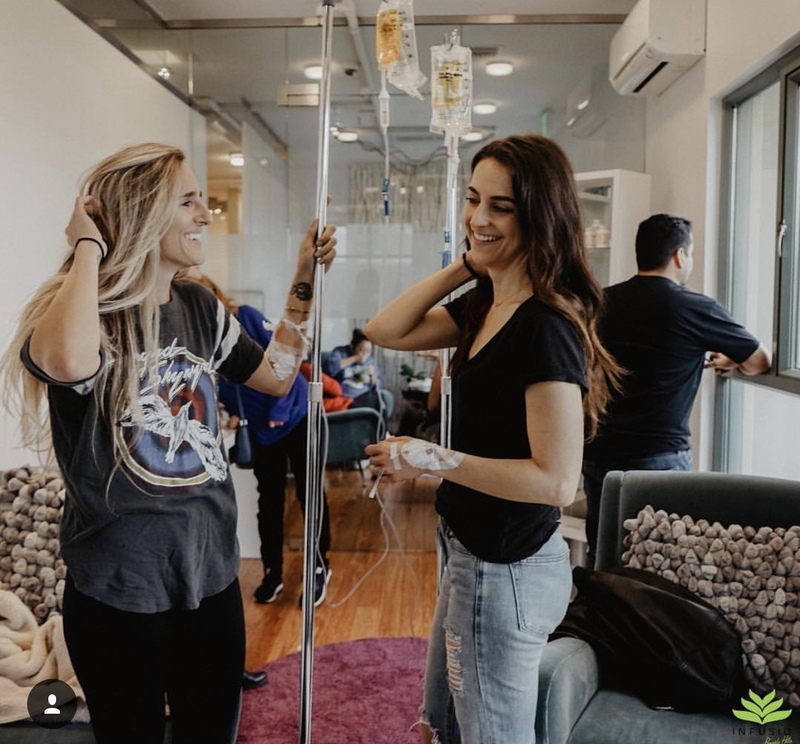 BEVERLY HILLS, Calif., June 6, 2018 /PRNewswire/ — In honor of Lyme Disease Awareness Month, INFUSIO® in Beverly Hills, California, and Frankfurt, Germany, donated $5,000 towards each patient’s treatment program in May. Due to the overwhelming interest, Infusio has agreed to extend this donation through the month of June for those suffering from Lyme disease. The goal of the cell therapy clinic’s donation is to spread awareness, help treat those affected, and prevent further tick-borne disease. Due to an overwhelming amount of success, the integrated Lyme disease specialists have decided to extend this special offer. Over 300,000 people are diagnosed with Lyme disease every year and it has become the fastest growing infectious diseases in the United Statesand Western Europe. INFUSIO® is dedicated to providing relief and hope for these victims; their 12-month treatment program has been shown to reverse years of debilitating symptoms from the illness. Lyme disease, also known as tick-borne illness, is caused by the bacteria Borrelia burgdorferi and is difficult to diagnose. It can severely weaken the immune system and cause serious damage to multiple organs, joints, brain and other parts of the central nervous system. INFUSIO® has treated over well over 600 patients since 2011. The treatment protocol integrates the best of traditional European medicine, integrative medicine, and cutting-edge science to rebuild the immune system and target the root cause of the problem. The concept was founded by Philip Battiade, a British born Naturopath with two decades of experience in cellular therapies and Lyme disease treatment. The institute treats chronic degenerative illnesses, auto-immune diseases, neurological disorders, and in Frankfurt, Germany, cancer. The Integrative Lyme Program is a 12-month program consisting of a 2-week period at the Infusio treatment center followed by a monthly home program with a follow-up treatment. The protocol was specifically designed to treat and target the effects of Lyme disease on the body. Each part of the treatment is designed to support the different stages of development experienced during the program. 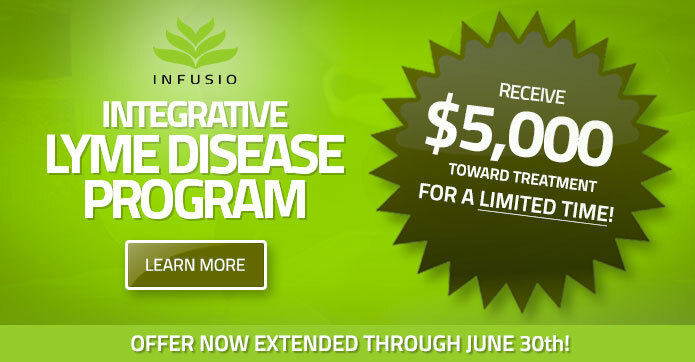 The INFUSIO® concept is based on Battiade’s “Five Steps to Health” which includes Immune Modulation, Substitution, Detoxification, Disease-Specific Treatment, and Mind-Body Medicine. Battiade has taken healing out of the doctor’s office and placed it into a spa-like ambiance specifically designed for wellness. 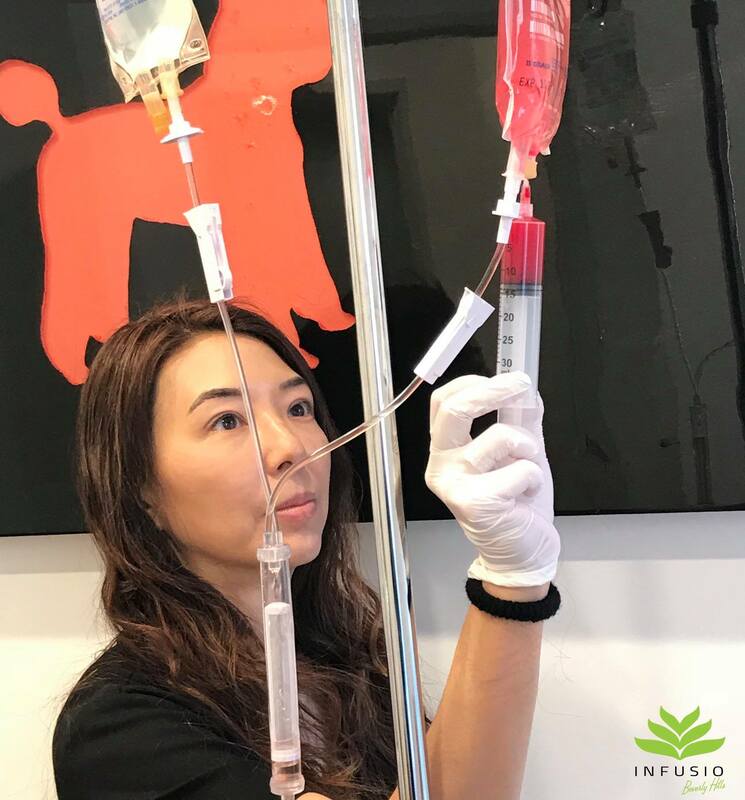 Board-certified medical doctor, Dr. Suzanne Kim, specializes in Stromal Vascular Fraction, an advanced cellular therapy treatment and has years of experience treating Lyme through regenerative medicine. Her goal is to treat each patient as a whole based on their genetic, physical, mental, and spiritual makeup. If someone is affected by tick-borne illness, there is help. Contact Infusio for more information on living with Lyme and how we can assist in one’s healing journey. To learn more about the most advanced cell therapy treatment and foundational medicine visit infusio.org or infusiobeverlyhills.com.